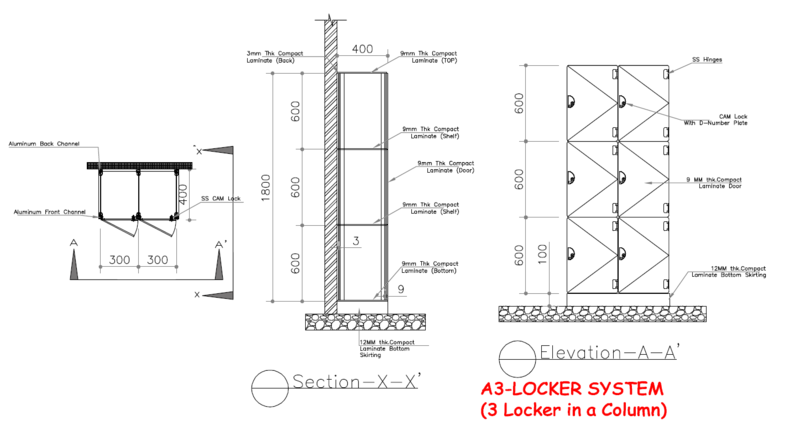 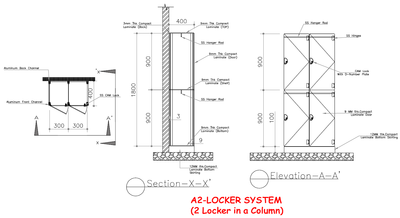 KerMac’s Locker systems offer custom designed lockers to create easy to use and durable solutions for your storage needs. 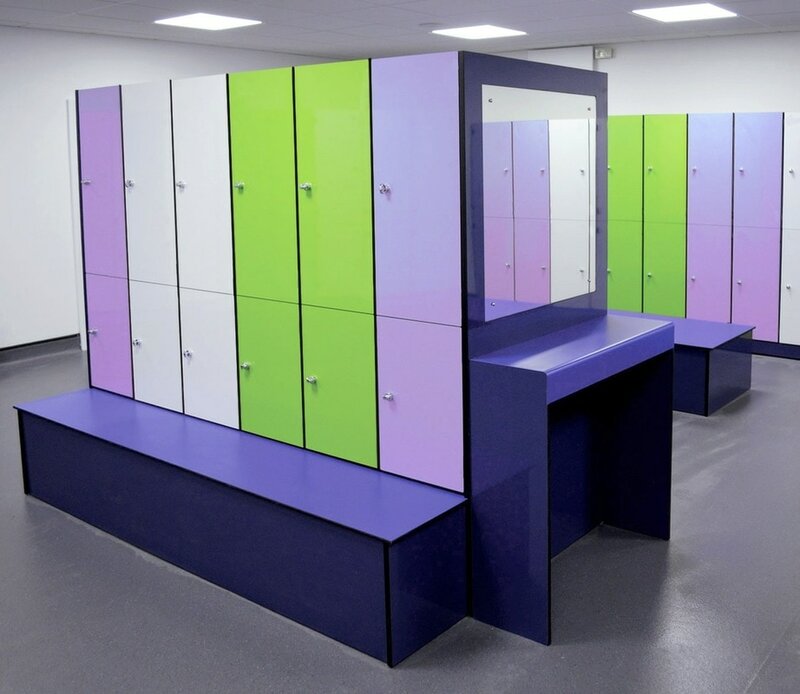 Available in 6mm and 13mm compact laminate you can find a design and colour to accommodate your application and budget. 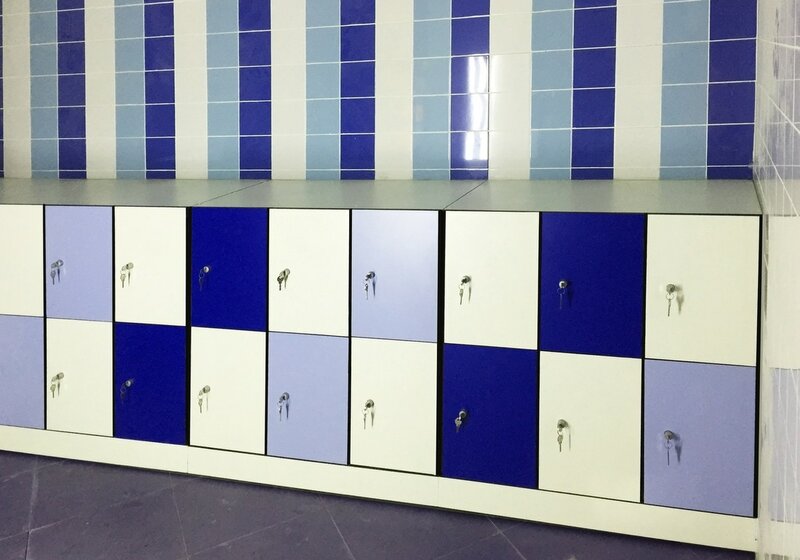 These modern lockers are perfect for changing rooms, gyms, swimming pools, schools and workplaces where a robust system is needed. 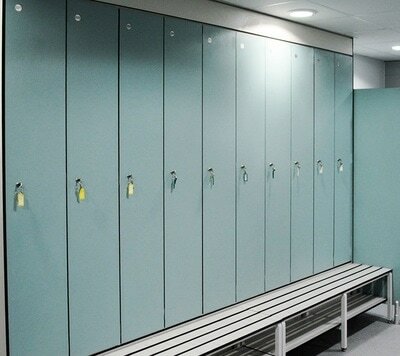 Compact laminate is a fantastic option for high abuse and wet environments where today's products need to be strong, durable and moisture resistant. KerMac lockers are made with a combination of phenolic resin Compact sheet, Aluminium extrusion and Stainless steel hardware providing a very low maintenance system. 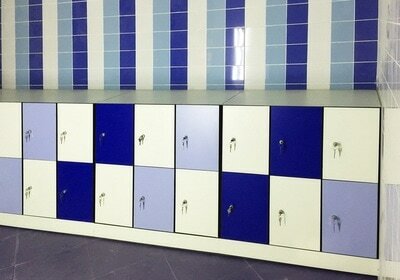 This also makes it easy to clean with high resistance to scratches, stains and graffiti. 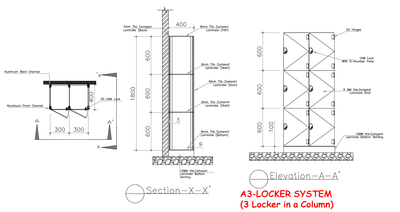 There are currently 3 options available however other configurations may be possible on request. 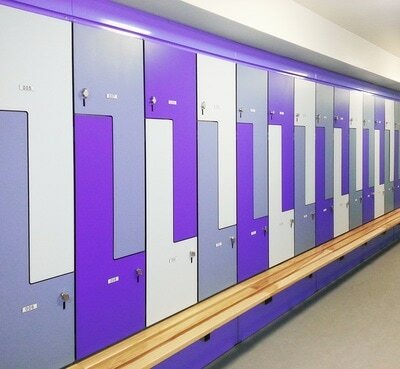 Lead times range from 8 – 12 weeks depending on size of the project and colour selection. ​Kermac can supply the lockers flat packed with full install instructions or fully assembled in our factory and installed either by you or Kermac installers.